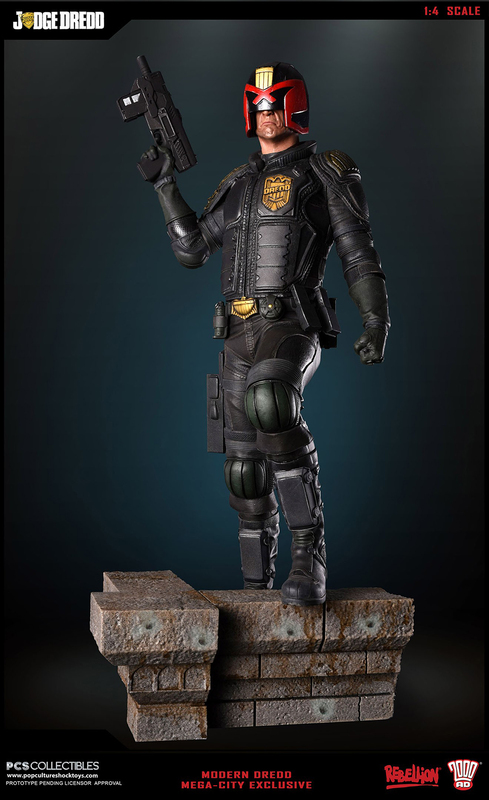 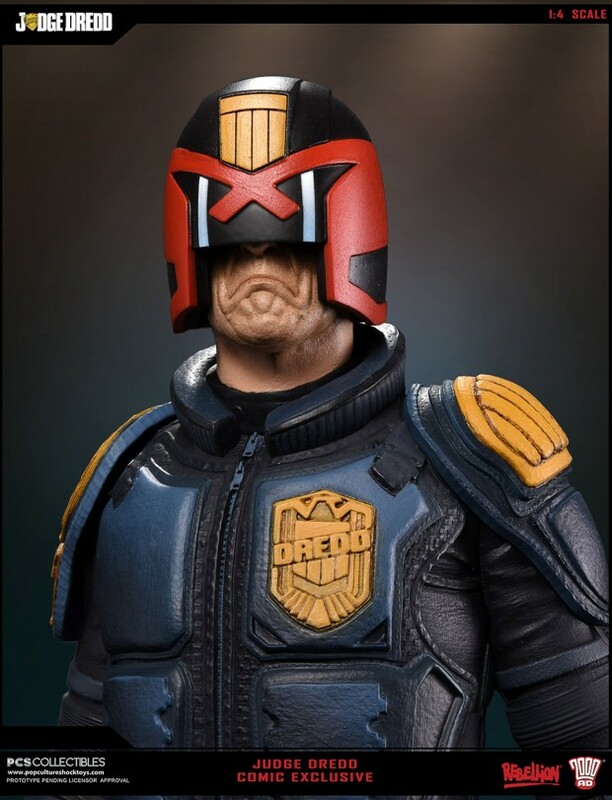 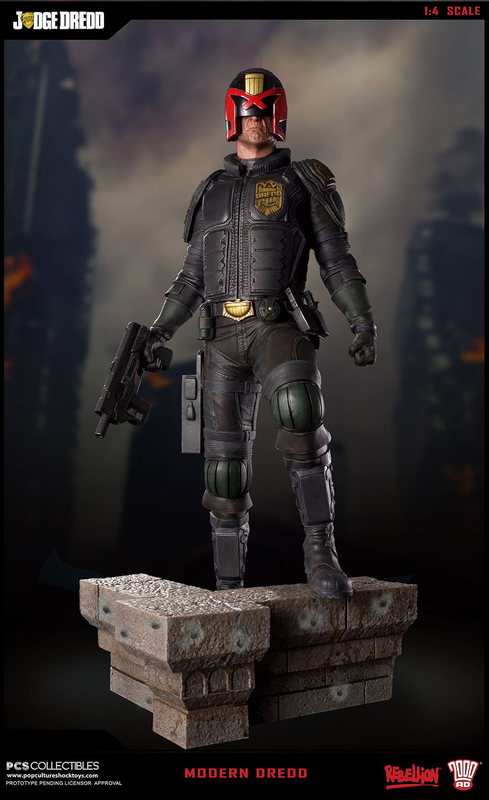 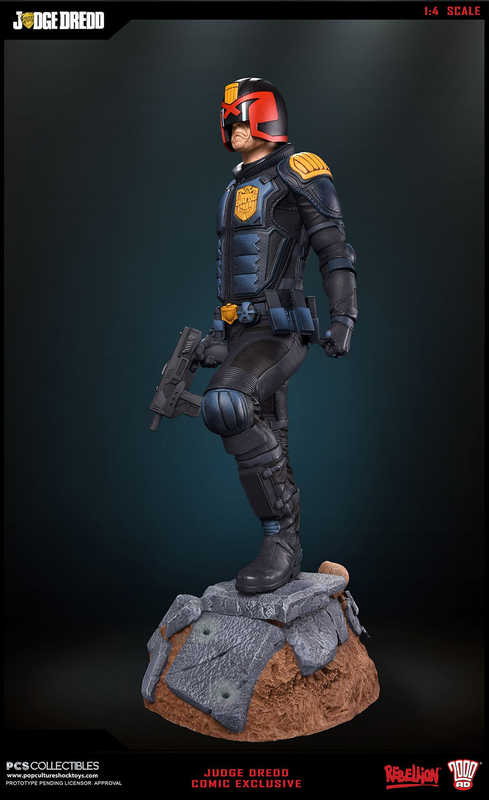 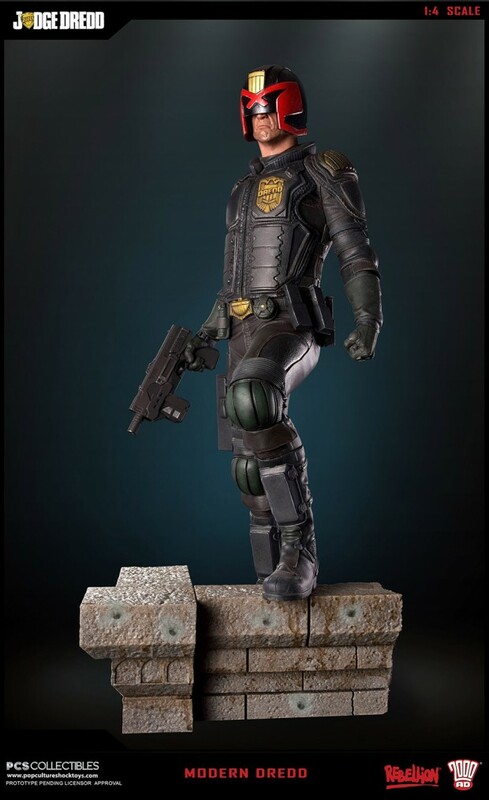 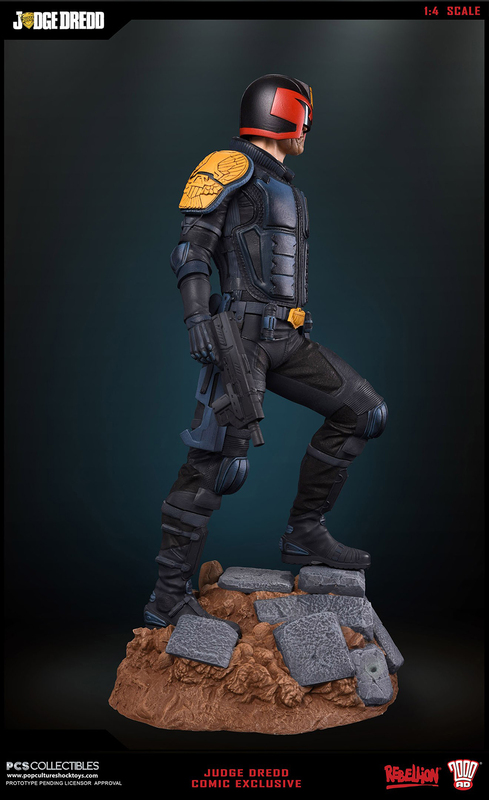 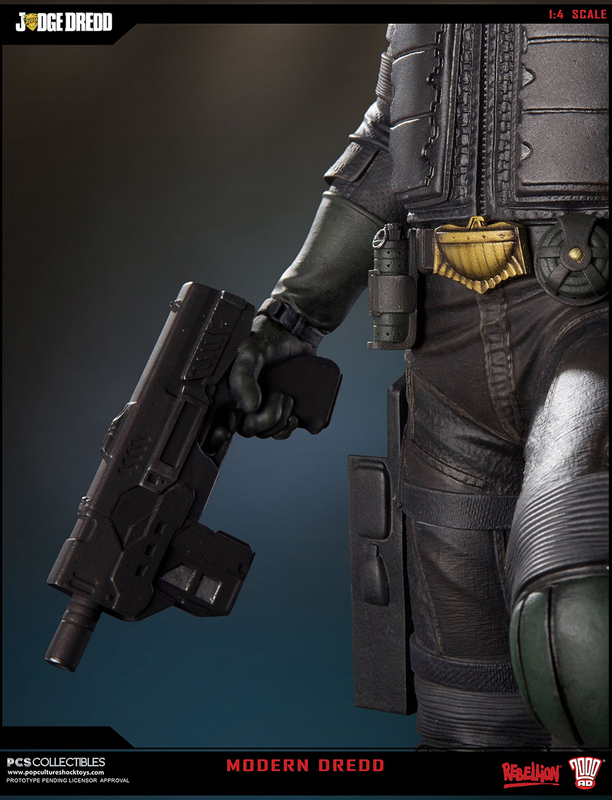 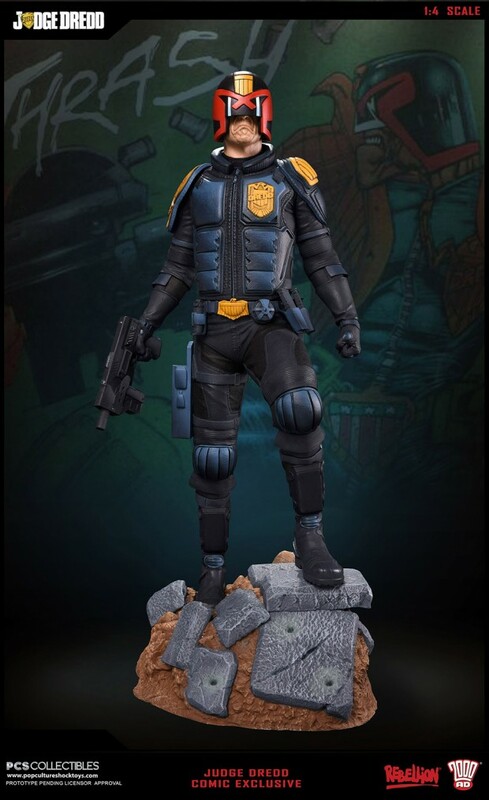 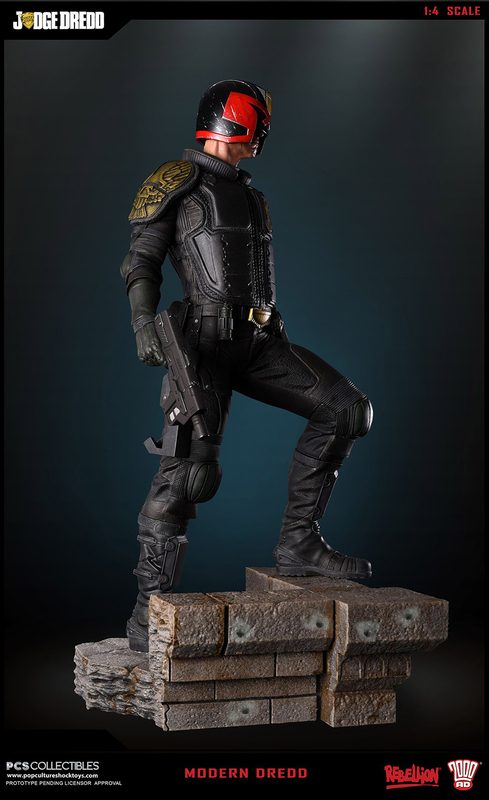 Pop Culture Shock Collectibles has a trio of Judge Dredd 1:4 scale statues based on the character’s appearance in the 2012 film Dredd. 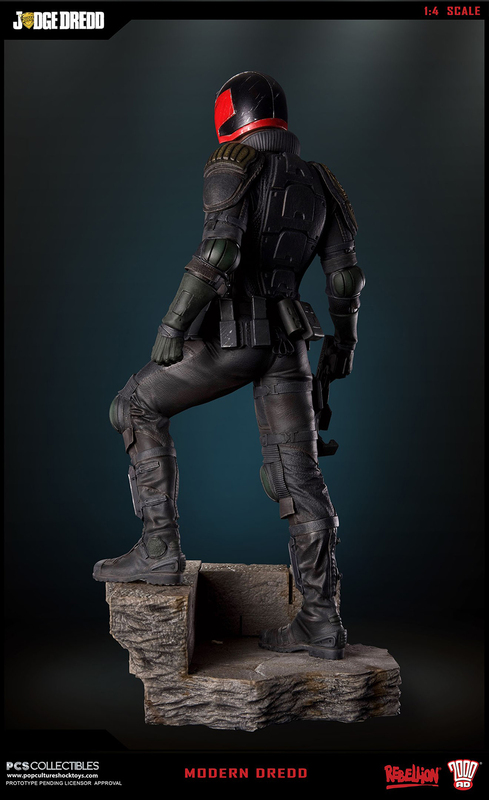 The standard variant, if you could call a $440 (USD) statue “standard”, is called Modern. 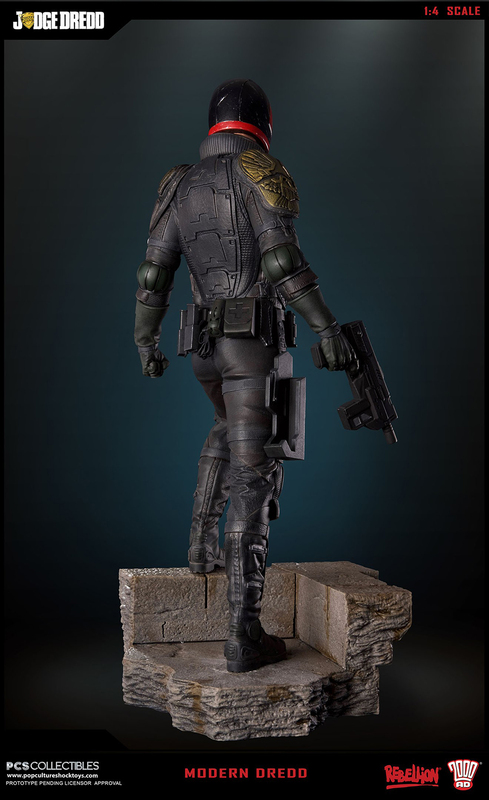 The second variant is the Modern Megacity, which adds a swappable raised arm and a swappable head with a more comic book style. 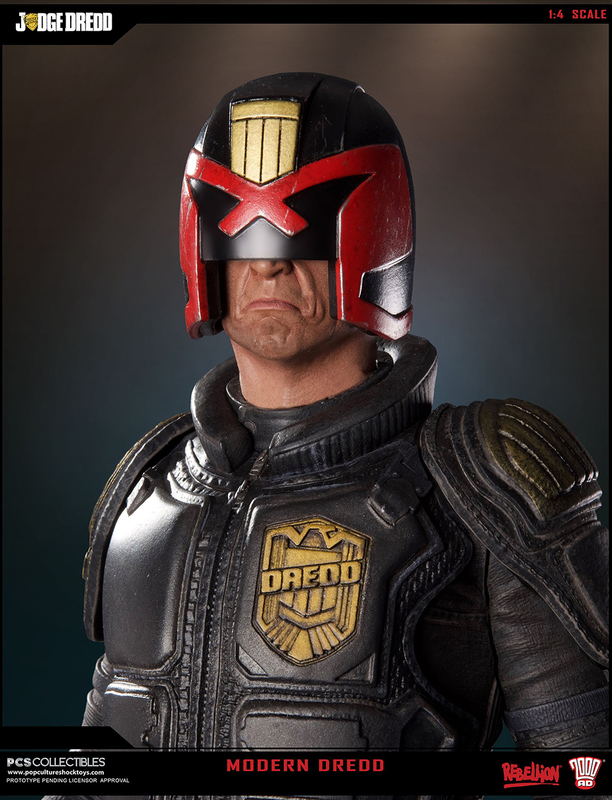 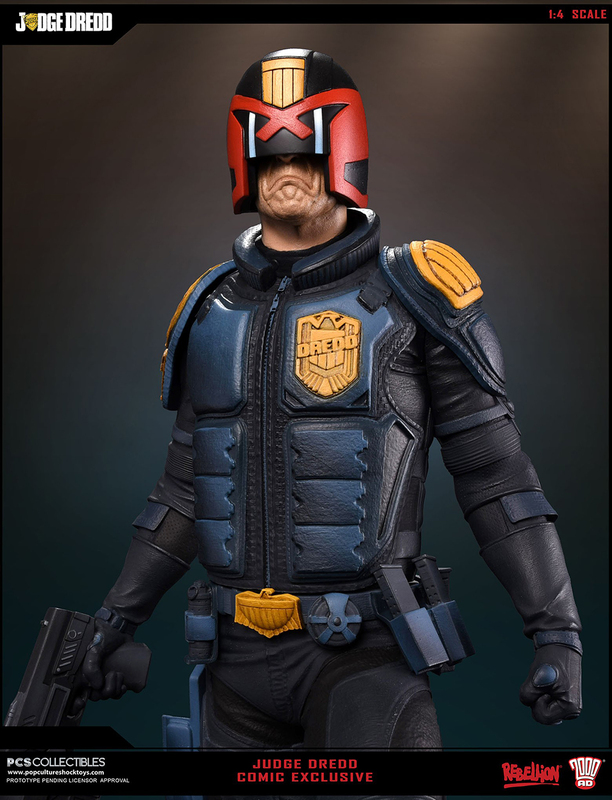 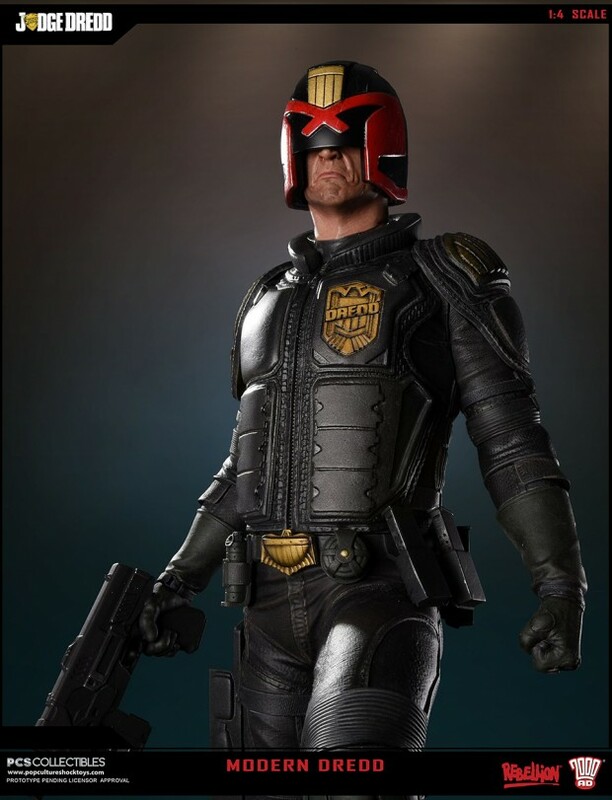 The last variant is the Comic, which has a different base than the first two variants, a comic book style head and is also painted in the style of the Dredd comic books. 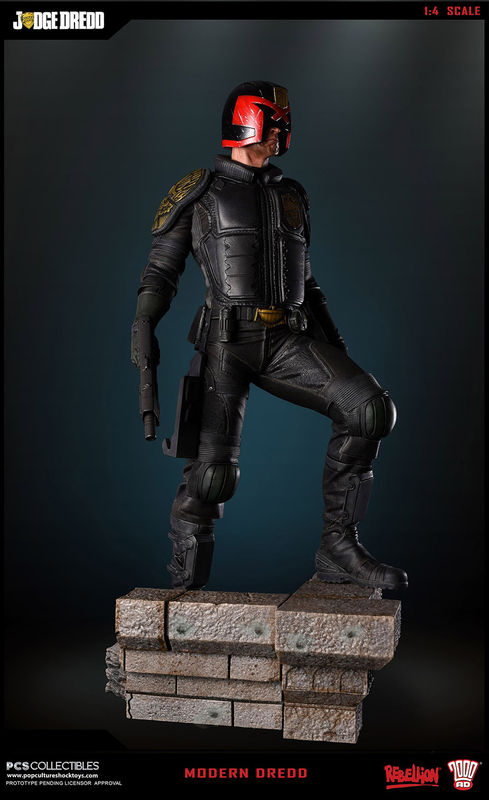 The statues will be available for pre-order beginning March 14. 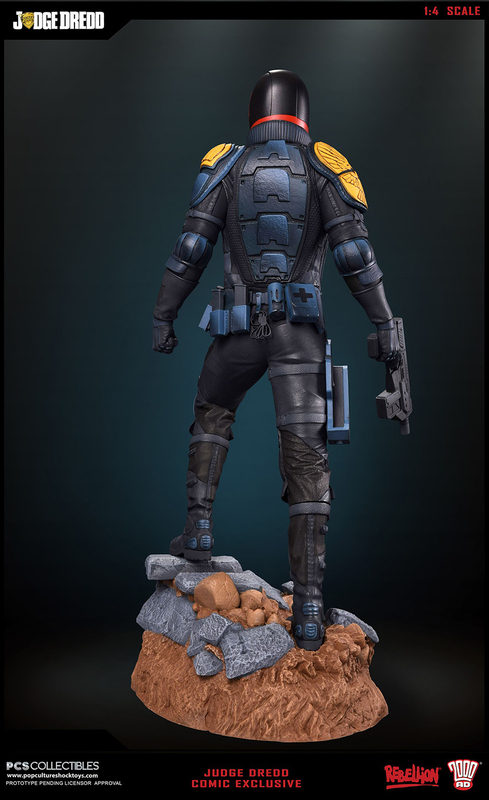 The Modern statue is limited to 500 units; PCS have yet to reveal how many of the other two variants they’re going to make.